Melbourne Cup winner Cross Counter has returned to claim the Group Two Gold Cup in Dubai. 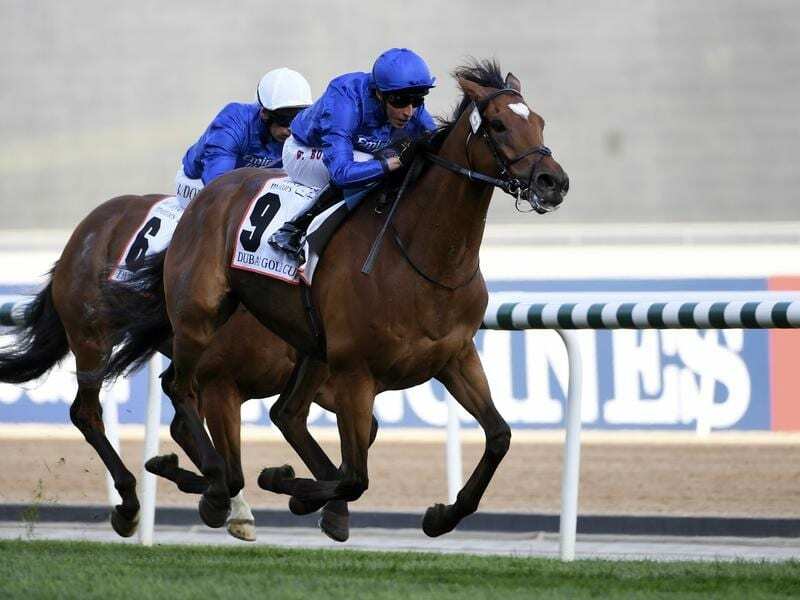 Melbourne Cup winner Cross Counter has made a winning return to beat Godolphin stablemate Ispolini in the Group Two Dubai Gold Cup at Meydan. Cross Counter became the first British-trained horse to win the Flemington showpiece last November and despite having been off the track since, he was the 7-4 favourite for his Dubai debut on Saturday in the hands of William Buick. The four-year-old travelled powerfully behind the pacesetters for much of the two miles (3200m) but had a fight on his hands when Ispolini came along the rail under Brett Doyle. The Charlie Appleby-trained pair settled down to fight it out and after a pulsating battle, it was Cross Counter who eventually came out on top by 1-1/4 lengths. “Obviously there was a little bit of pressure bringing the winner of a Melbourne Cup back from a break, but I’ve been very happy with all my team and I always felt whatever Cross Counter did tonight, there would be more improvement to come into the season,” Appleby said.